The Little Red Hen | Kmotion Design Inc.
Little Red Hen is a boutique located in McKinney, Texas. They sell everything from clothes & shoes to fun-loving gifts. In 2014 they decided to take their store online to sell to a broader audience. We designed and developed their website using Shopify Ecommerce. 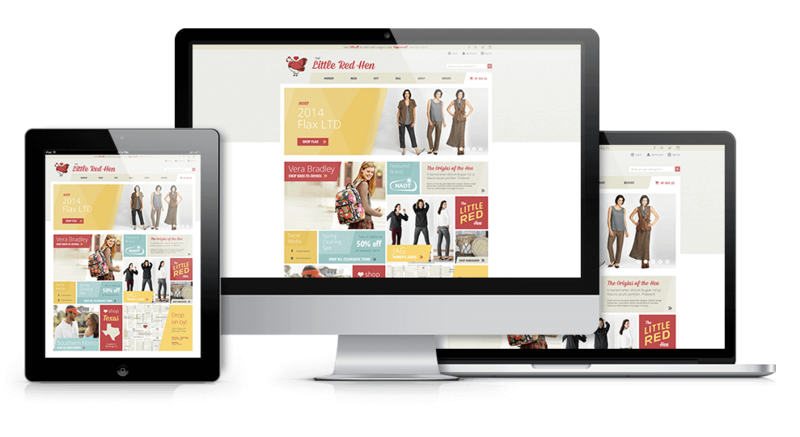 The website design reflects their chic in-store look and feel. "Getting to work from concept through development and seeing my design come to life was a rewarding process." For their website launch they wanted to modernize their logo by capturing the spirit of the iconic hen sculpture that is above their storefront.